Looking for things to do this weekend with the kids? Here’s our Top 20+ Picks for the Weekend of April 28th – 29th! Don’t miss our handmade book/journal craft event and signing at Underground Books on Saturday at 1:30pm! Learn to “Deadhead” Roses at McKinley Park Rose Garden. Bring some clippers, gloves, and a hat to the Annual Volunteer Appreciation/Deadheading Event, and learn the proper way to cut off old roses! This is a family-friendly rose-clipping event. Trainers will be on hand to show you how it’s done! There will be morning goodies for volunteers from Freeport Bakery, with coffee and orange juice! They will need volunteer forms signed ahead of time for any minors attending the event. For more info, please contact: friendsofeastsac@aol.com. Sat. 9am – 1pm. Take older teens to Gear Up for Bike Month at OneSpeed Pizza. Join OneSpeed and the American River Parkway Foundation to Gear Up for Bike Month. Ride your bike down to learn tips and tricks on how to tune things up and be ready to cycle your way through May. They’ll have raffle prizes and May is Bike Month swag. Complimentary tune-ups courtesy of Bike Lab, Edible Pedal, and Kinetic Cycles. Free. Donations and raffle tickets will benefit the American River Parkway Foundation. Sat. 11am – 2pm. El Día de los Niños: Biligual Storytime at North Sacramento Library. Join Roberto Rivera Robles for a lively bilingual story time with stories, songs and movement. Following the program there will be Pixie Tribe face painting and a special craft project with ArtBeast. Children under age 8 must be accompanied by an adult. Free. Sat. 2pm – 3pm. Galt Día de los Niños Festival. Enjoy a fun-filled day featuring performances by musician Felipe Ferraz, Cenzontle a traditional Mexican dance group and Fenix Drum & Dance Co. and more. Galt Library. Free, Sat. 10am. Kalpuli Xihuacoatl Aztec Dance Group. Enjoy an amazing Aztec dance performance by Kalpulli Xihuacoatl (House of the Serpent Woman) featuring local youth dancers. Free, Sat. 2pm. South Natomas Library. Danza Azteca Group. Celebrate with traditional Aztec dancers from Noxtin Nomecayotzin (All My Relations) Education and enjoy colorful costumes and the sounds of this indigenous dance style, as well as face painting with Pixie Tribe and a special craft. Free, Sat. 2pm. Walnut Grove Library. Take older teen writers to Fact to Fiction: Creating a Story from Real Events with Anne Da Vigo. Local author Anne Da Vigo will lead this hands-on workshop to help you down your creative path from real events to fiction! Da Vigo is the author of the new thriller, Thread of Gold, and will show you how to use real people, events, and settings and craft them into a fictional work. Bring paper and a pen! Free. Sat. 2pm – 3pm. Franklin Community Library in Elk Grove. Spring Flowers Art Exhibit at the Kennedy Gallery Art Center. Drop-in to celebrate the beauty of nature and spring with an annual multi-artist spring flower exhibit. Free. Open Sat. 12pm – 6pm. Walk a block or two and share a snack at Low Brau, Pushkins, Ginger Elizabeth Chocolates, etc. DIAL-A-STORY. Listen to a story free by dialing up the library’s storyline at 916-441-1234 or toll-free 866-241-7490. There’s a new story weekly. Looking for things to do this weekend with the kids? Here’s our Top 20+ Picks for the Weekend of April 21st – 22nd! Sacramento Scandinavian Festival at The Scottish Rite Center. This collaborative celebration of Nordic Heritage will include the area’s Finnish, Danish, Norwegian, and Swedish clubs. The festival features Scandinavian food, baked goods, and merchandise for sale. Viking re-enactors will present interactive activities for the entire family. Feel free to gather information about the Nordic countries and enjoy music, entertainment, and door prizes! Sat. 10am – 4pm. General $5, kids under 12 Free. Flag ceremony is at 12pm. For a schedule of events and more info, click here. Take a family bike ride anywhere along the American River and take in the spring wildflower blooms, rushing river water, and cool, perfect April weather. Looking for things to do this weekend with the kids? Here’s our Top 20+ Picks for the Weekend of April 7th – 8th! Don’t miss our super-fun, free handmade mini journal craft event at Barnes & Noble in Natomas on Sunday 12pm-2pm. Sacramento History for Kids at Sacramento Historic City Cemetery. Who says history has to be boring? Come hear tales of floods, fires, revolts, and even a story that almost ended in death by duck! The kicker is that all of these stories are true and taken from the residents of the Old City Cemetery. Come see why truth is stranger than fiction. Note: This tour is designed for kids in Fourth Grade and up. Free. Sat. 10am-11:30am. Join us for a free mini journal craft at Barnes & Noble Natomas! We are so excited to bring you our latest craft event and book signing at Barnes & Noble Bookstore Natomas this Sunday, April 8th, 12-noon to 2pm! This time we’re featuring a cute, mini journal assembly project, inspired by the A Beautiful Mess… and the best part is, we do all the heavy lifting for you! Just choose your paper, thread, tie your journal together, and decorate it any way you wish! We’ll have stamps (with washable ink), stencils, pens, decals, and glue with examples ready to give you ideas and spark the imagination. Feel free to bring a photo if you’d like to make a gift for someone. Get ready for some messy design fun! 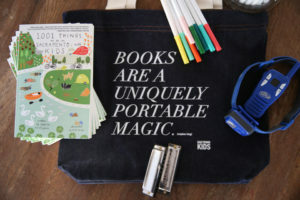 The first 25 people to drop by will get a free bookbag and flying frisbee (no purchase necessary). We’ll also have a DIY photo booth so you can take some silly pics. 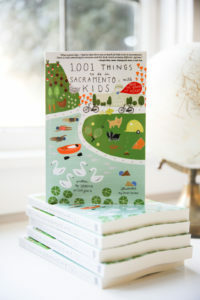 We’ll be selling signed copies of our book, “1,001 Things to Do in Sacramento with Kids (and the Young at Heart),” which retails for $16.95 at Barnes & Noble. Grab a coffee or tea in the bookstore’s cafe, browse the bookstore for new books or magazines, and stay a while! Mini Journal Craft Project & Book Signing! Looking for things to do this weekend with the kids? Here’s our Top 20+ Picks for the Weekend of March 31st – April 1st! Easter in the Park. Join in at 4th Avenue Park for a morning of face painting, balloons, pictures, prizes and eggs! There will be a special visit by Dinger from the Sacramento River Cats. Free. Sat. 11am – 1pm. Presented by City Church of Sacramento. Elmhurst Easter Egg Hunt and Potluck at the Coloma Community Center. The Elmhurst Neighborhood Association’s annual Easter Egg Hunt will take place at the Coloma Community Center. There will be easter egg hunts for toddlers and for older kids, as well as craft activities, and pictures with the Easter Bunny. It’s a great way to have fun and meet your neighbors. It is a potluck, so please bring a dish to share. Free. 9:30am – 11:30am. Meet choreographers at CLARA. Take older teens interested in dance to the first ever Sacramento A.I.M. Lab (Artists In Motion) is an artistic platform that seeks to foster and support emerging and established choreographers based in the city of Sacramento. There will be a Q&A with the choreographers after the performance! Founded by Mexican movement artist Diego Campos, in collaboration with the E. Claire Raley Studios for the Performing Arts, this pilot choreographic showcase will feature the works of the very first artists in residence at CLARA: Inertia Dewitt (American Wonder Woman) and Ayo Walker. Donation, sliding scale $5-10. Sat. 7pm. Pick a book to give to a child less fortunate in our city. Community members are invited to participate in a virtual book drive throughout the month of March for United Way’s Read to Succeed campaign. The campaign, launched in celebration of National Literacy Month, encourages literacy throughout Sacramento. Books received during the drive will be donated to children of all ages in Sacramento. Those interested in participating are asked to fulfill the Read to Succeed Amazon Wish List by March 31st. Happy April Fools! Be a jokester and pull a harmless prank. Looking for things to do this weekend with the kids? Here’s our Top 20+ Picks for the Weekend of March 24-25th! Go for a wildflower walk along the American River at any point along the Jedediah Smith Memorial Trail from Sacramento to Folsom. You’re bound to see amazingly delicate floral pop-ups, which makes spring a gorgeous time of year. By summer, most of these will be gone! Bring a picnic and a frisbee. Come design and punch your own button pin with us and get your book signed THIS SATURDAY at Barnes & Noble Arden Fair at 11am – 1pm. I’ll be there with the book’s illustrator Sarah Golden for a mid-day craft party in the bookstore!! If you come early and buy a book for signing, you can get our FREE book bag (above). It’s sturdy denim with one of my favorite quotes. The bookstore will also be hosting storytime at 11am, so that might be fun for the little kiddos. Older kids can check out all the new books out this month. Stop by and say HELLO! 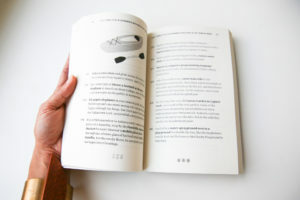 : ) We are so excited to meet some readers and get some feedback! Sactown Kids: Top 20+ Picks for This Weekend! Happy St. Patrick’s Day! Looking for things to do this weekend with the kids? Here’s our Top 20+ Picks for the Weekend of March 17th – 18th… Try the Family AcroYoga workshop by Handstand Nation on Saturday and learn some new tricks! Stop by the Sacramento State University Library Gallery for A Spectrum of Contemporary Ceramics, a series of stunning, oversized sculptures. The free display spotlights utilitarian wares, pop culture objects, classically-inspired pieces, and large installation objects by 18 established artists. Free. Open Sat. 10-5pm. 6000 J Street, Sacramento, CA. (916) 278-4189. Looking for things to do this weekend with the kids? Here’s our Top 20+ Picks for the Weekend of March 3rd – 4th! Walk, run, or in-line skate across Folsom’s beautiful historic Truss Bridge. Make your way to the ever-popular, iconic Karen’s Bakery before jetting home. Walk or ride all or part of the Davis-Covell Greenbelt in Davis. This 2.7-mile loop is flat, dog-friendly, and crosses large, grassy areas. Along the way, look for cherry blossoms in spring, giant dominos, dog sculptures, and the Julie Portansky Pond at Northstar Park. Bring some lawn games to the quaint McConnell Estates Winery in Elk Grove and relax next to the vineyard and their 100-year old red barn. Tasting room is open Fridays, Saturdays, and Sundays 11-5pm. Visit Kid’s Town at Mill View Ranch in Apple Hill, where you can explore a countryside mini-city, built just for little humans. Open year-round 7:30am – 5pm. Go to John’s Incredible Pizza in Roseville and ride the bumper cars. Get unlimited salad at the pizza and salad bar!